Bloomsbury USA Childrens, 9780802737328, 40pp. 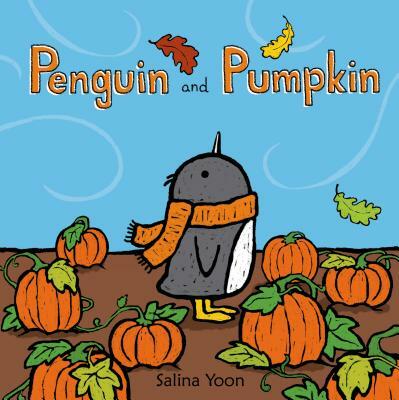 Geisel Honor-winning author/illustrator Salina Yoon's beloved character Penguin helps his brother in Penguin and Pumpkin--a charming picture book that's perfect for fall. Penguin's curiosity about fall sends him on a journey to a faraway farm. But his younger brother Pumpkin is too little to come along! Can Penguin find a perfect way to bring the joys of the season back home so Pumpkin can join the fun? Prolific author/illustrator Salina Yoon's spare text and bright, energetic illustrations bring to life this endearing story celebrating fall and family in many forms!